Like many working mothers, I have missed a huge chunk of my childrens’ lives after spending so much time at work. My kids were in daycare as toddlers, and until I started my own business, they didn’t see me until just before dinnertime each night for nearly a decade. Two hours in the evening with them before they had to go to bed wasn’t cutting it for me, so I decided that starting my own business and working for myself was the only thing to do to have the flexibility I wanted. What I didn’t realize, however, was the juggling act that I was about to begin. Many female entrepreneurs struggle as they attempt to balance multiple work-life responsibilities. With only so many hours in the day, I know that my to-do list grows exponentially as the hours in my day pass by. There isn’t a day that goes by that I don’t pray for some sort of temporary cloning technology that will split me into 4 “Elisas” – one to work, one to clean the house and go shopping for groceries, one to spend time with my family, and one to just RELAX once in a while (not to mention going to the gym and taking care of myself). 1.) Get yourself a calendar and stick to it. Mastering your time is an essential part of juggling a busy household and a (hopefully) busy business. I use Google Calendar (although any calendar will do) and schedule out EVERYTHING, beginning with monthly family activities and appointments, school events and functions, and then moving onto business trips and appointments with clients. Everything goes on the calendar, and rarely is anything moved. All of my work is then scheduled in around these locked-in timeframes. Once a pattern is set, I can identify times of the day that I can commit to doing work consistently, which establishes a rhythm that works for both my business and household. I always try to choose windows of time when my energy level is at its peak and will allow me to do my best work. This time is scheduled into my calendar and only changes with emergencies or equal time block trade-outs. Also – don’t forget to schedule in time for housework, homework and play time with the kids, and exercise for yourself! These are important parts of the day, too! 2.) Set deadlines and goals, then make a plan to beat them. A plan of action is the best way to meet a deadline, and for me, making a deadline for each task (even if it doesn’t need one) is the best way for me to have the motivation to complete to-do items on my list, whether they are for work or home. Be realistic and specific about what you can achieve given the time you have, but also build in at least a two day leeway for hiccups or contingencies that may occur. Combining your goal dates with your calendaring system is a sure-fire way to get things done. 3.) Prioritize your time, but don’t leave things on the backburner for too long. Prioritizing your to-do list is essential, and often times it can be difficult to discern where to start because all the to-dos look equally important. I always start with the bigger stuff with hard deadlines, as they generally have the greatest impact on your business in the shortest amount of time. By focusing on these areas first, tangible results are seen more quickly. However, leaving lower-priority items on the backburner can backfire. Just like in the real kitchen, if you walk away for too long, these items will dry out and burn up – so don’t forget to check in on them. And make sure that family and household items rarely get placed low on your list. This one is a HARD one for me. Generally speaking, women are multi-tasking geniuses. It is built into our makeup, and especially as business owners, we think we can do it all. It is really important to remember, however, that the time you have scheduled for your business is just for work exclusively. If you are working from home, the laundry and other household tasks will have to wait until their time on your calendar! If you are working from an office, then that phone call from a friend will have to wait until the evening. Facebook is not an option, unless you have scheduled in marketing time on your calendar (and no, looking at cute kitten pictures does not count as marketing). Pulling yourself in too many directions dilutes your energy and efforts toward achieving your goals. Again, I am really guilty of this one, especially since I run two separate businesses AND take on side projects like a mad woman. But I know that scheduling in time to do each thing and not crossing the streams is essential, otherwise my whole schedule will implode. Sometimes I will have a brilliant idea while working on one item that can be applied to something else I must do that day. My solution? Jot it down on a pad of paper or put it in my notes in my phone. Stay on target. Stay on task! Another toughie, especially for creative types. So often, we are running so fast, that we may set things down, but don’t always put things where they belong. This is one of my big downfalls, but after seeing what organization does for my productivity, I have been working on this more and more. The time I spend looking for a lost paper or bill that needs to be paid is counterproductive. I used to say that I was too busy to stop what I was doing to spend 3 minutes filing papers, but when those papers are lost somewhere in the office, those 3 minutes quickly turn into 20 minutes looking for them. Organization is a must, and without it, your calendar disintegrates. 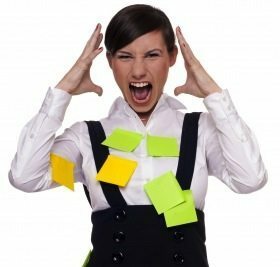 It is impossible to schedule in delays due to disorganization, and all other things on your list will suffer. Set up systems (be it paper or electronic) that facilitate your organization plan and allow you to access your files. It is important to involve your family in this process if you are working from home, and if you have employees at an office, it is imperative that they learn your filing systems and use it. 7.) Create a household “team” and put them to work. Without a magical additional 12 hours in each day, you can’t do it all and do it well. In order to be successful, you must be the boss both at work and at home. Take the lead and motivate, empower, and inspire to the household to help you do more. “Hire” the kids to do chores around the house. It is not only valuable to your schedule, but it is a great learning experience for them, teaching responsibility and work ethic, as well as the value of money and what it takes to earn it. Reward them as well for leaving you in peace while you finish your work. My children earn extra cuddle time and family game night time equal to the amount of after-school time they let me work in a quiet environment without interruption. They have learned that they don’t need me to be their willing slave and get them a glass of juice or make a snack – they are perfectly capable of doing it themselves and have gained a lot of wonderful independence. Your family is capable of doing more for themselves, and although sometimes it hurts a bit to think that they don’t need you for EVERYTHING, it will eventually become a freeing thought that allows you to work on your business during the afternoon and have more time for them in the evening. This is another tough one for me, because as women in power, we often want things to be exactly how we envision them, especially when it comes to business, and we feel that the only way to do it right is to do it ourselves. I have uttered the words, “It will take me three times as long to explain to you how to do it than it will for me to just do it myself” more times that I can remember. This is a poisonous habit, and it is one that I am still working on breaking, but at least I have identified it! It is true that training another to do what you know how to do takes time and investment, but that investment will pay off a hundred-fold, once you no longer are the only person around that knows how to complete the task, freeing that time for more important work. A friend encouraged me to rethink and reframe that mindset to avoid burnout, and it is helping more and more. I now choose the to-do items (both at home and at work) that coincide with my strengths and talents, and I delegate the rest. I assure you that your productivity will increase, and you won’t feel so tired at the end of the day! The juggling act will never really end if you are balancing work and family, and sometime you will feel like you are truly in the circus. But like any great act, precision and practice will wow your audience (and yourself)! Elisa Teague has three very different professions. She runs and publishes her own print magazine, Cupcake Quarterly, which has a mission statement dedicated to helping women feel strong, powerful and confident. She also has worked in the Toy and Game industry for 12 years, doing everything from graphics and package design to game development, art direction, production and marketing. The third is the craziest of all: She is a mom to two wonderful (but exhausting) kids. She is constantly taking on new endeavors to feed her never-ending desire to do “everything”.